Last week, we reported that Lenovo could be launching one or more of the K6 devices soon in India. And now, we have the launch date, and confirmation on which device will be launched. 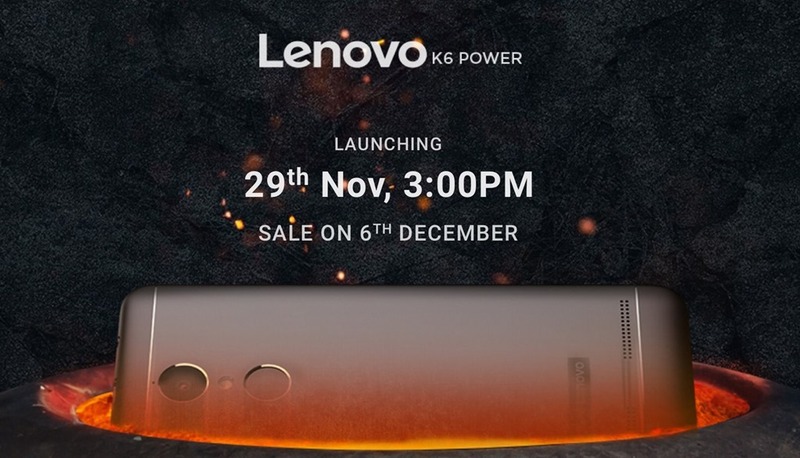 Lenovo India has officially announced on its Twitter feed, that it will be launching the Lenovo K6 Power, on November 29th in India. Unfortunately it appears that device may be sold via the dreaded flash sale model, as the listing says the sale will begin on December 6th. Here is a recap of the device’s specs. 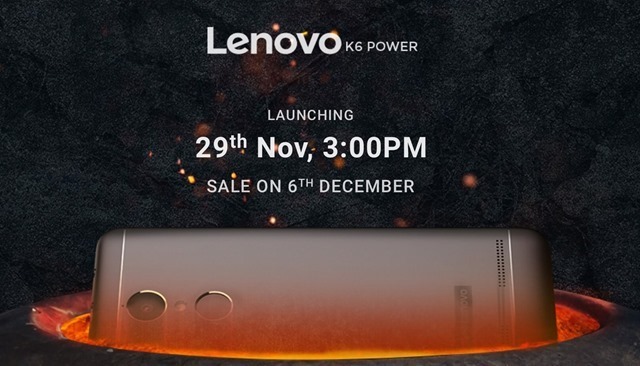 The Lenovo K6 Power will be sold exclusively on etailer portal, Flipkart. Considering that the phone is at best an alternative for the Redmi 3S Prime, with very similar mid-range hardware, except for a slightly bigger display, we expect the Lenovo K6 Power to carry an affordable price tag, possibly in the 10,000 Rupees range.